New computer. Windows 8 or 7 does it matter which you get ? I plan to get a new computer system. Should I get Windows 7 or Windows 8 ? What would you do and why ? Is the user interface the only difference ? What does matter with regard to FSX and all its add ons ? Windows 8 is really optimized for tablets rather than desktop PC,s and I haven't heard much positive feedback running it with FSX. Bear in mind that FSX is based on a computer code written in 2006. I'd go with W7. FSX and all FSX add-ons work well with both OS's but, personally, I'm sticking with Windows 7 as I see no advantage to upgrade. I would do it if I bought a new system and Windows 8 came with it. I plan to upgrade in the near future to Haswell and will continue to use Windows 7 as I build my own systems. Since FSX is a 32 bit application, it does work well in a 64 bit OS environment. FSX is an old application (as well as many add-ons) and you will still need to install all the old Microsoft Visuals 2005, 2008, and 2010 and all the old Microsoft.net versions from version 1.1 thru the latest. I do like to upgrade to the latest and greatest OS, video card drivers, sound card drivers, as soon as they are available but this time I'm staying with Windows 7. Just don't see any advantage at this time. I have found that Win 8 and FSX work well together. 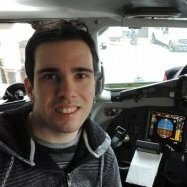 I'm flying PMDG's 737NGX without issues (other than my own ham fisted problems) after following the advice given in the PMDG 737 forum. The first thing I did was to Install Classic Shell on Win 8. This application provides the familiar desktop, start button and menu's similar to Win 7 or earlier versions of Windows. I think Win 8 boots up faster and runs with less overhead that earlier versions of Windows (at least that's what I've read and what I'm experiencing). You do need a strong enough machine (Intel i7 or such). I use FSUIPC for my controls and installed the Vista or Win 7 version of UIautomationcore.dll in the root of FSX which seems to eliminate CODs . It's best to run FSX on its own drive. I have it installed on a SSD and it runs fast from there. The first thing I did was to Install Classic Shell on Win 8. This application provides the familiar desktop, start button and menu's similar to Win 7 or earlier versions of Windows. Despite the many forum posts to the contrary, Windows 8 has two "Start" buttons, not none. The menu is slightly different, in that each application has it own tile, rather than a written menu as in Windows 3.11, 5, 98, ME and 7.
with the hackneyed previous version. Once you have become used to it, there are no more mouse clicks required than in Windows 7, in some cases less and a great many more shortcut keys available. If you have to purchase a new OS anyway for your new PC, I would suggest Windows 8.
run a little better under 8 than they did under 7. I have three copies, two on PCs and one on a laptop and they all work seamlessly. I have yet to find an application that works in Windows 7 and not in Windows 8. As above, the UIautomationcore.dll fix is required to run FSX successfully. Other FSX requirements are as for Windows 7. That said, I might not have had any copies of Windows 8 if the MS opening offer had not enabled me to upgrade three OEM OSs to full versions for less than the price of one of them. Why ? I find the menus under START in Win 7 a miserable mess and they can close without me doing something. But I'm not quite sure how the menus work in Win 8. Don't you have a task bar where you can place shortcuts or a desktop with icons ? If you don't have menus with a text line what do you have ? Wasn't there an add on for FSX that refused to work under Win 8 ? Or am I mistaken here ? Using Windows 8, it's a great OS, however, I get occasional Yoke disconnects. I'm struggling to master FSUIPC to see if that overcomes it, if it does I have no other issues. Don't you have a task bar where you can place shortcuts or a desktop with icons ? If you don't have menus with a text line what do you have ? There is the same task bar and the same desktop. As you can see, there is still text. One click on a tile and the application opens. Windows 8 is a complete disaster as far as FSX is concerned. Joysticks disconnect when moving focus to a different application,and MS refuses to acknowledge this. As have some of my colleagues with Windows 7.
that it also prompts the type of post such as #9 above. my advice would be to do so. my advice, as above, is to purchase Windows 8. When I read the product descriptions for OEM versions of Win 7 and Win 8 I found to my surprise that the license terms were different. Win 7 is bound to the machine you install it on no exceptions. Win 8 can be moved to another computer if you are a hobbyist. Also Win 8 seem to come at a slightly lower price compared to Win 7. I might point out that my current machine has a OEM Win 7 Home Premium. So on my new system I must get a new OS. The latest Win 8 seems most natural. But which version. Win 7 came in a lot of versions. What about Win 8 ? Go with Windows 8 for best performance in the sim (and overall). My overall framerate and stability significantly increased from 7 to 8. The only thing that you will really need to wrap your head around is the Modern UI (start screen), but with a little time, it is very easy to get used to. It's not as impractical for a desktop as many make it seem. If you just remove all of the default shortcuts that are pinned and place your own, it becomes very simple and personal. You can group shortcuts, too (for example, you could have a "Games" group where you pin any games you play). And to my knowledge, there is only one version of Windows 8.
of which I had two copies.